These no-tie shoelaces make it easier to put on shoes, like for folks with dexterity issues, or anyone who wants to avoid the tying hassle. Replace dangling laces and messy knots with Laceez to turn just about any laced shoes into a pair of polished looking pull-ons. Dimensions: 2.13" x 4.38" x 0.75"
We’re all about things that make life easier. 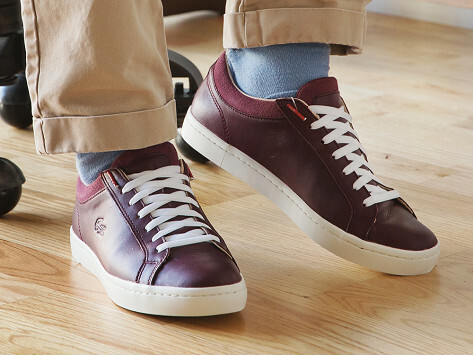 And Laceez make putting on shoes a breeze—while keeping the look streamlined and neat.